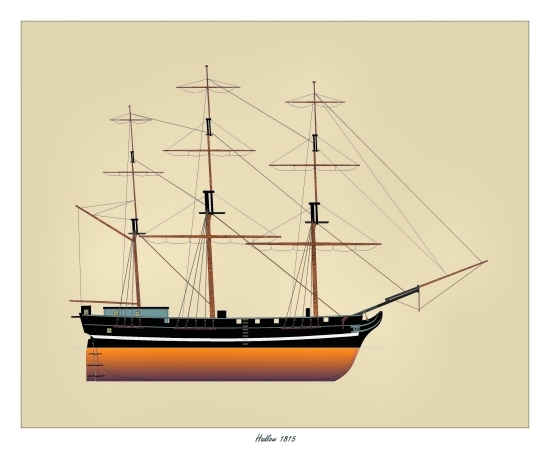 Design for the Quebec built convict transport Hadlow of 1815. 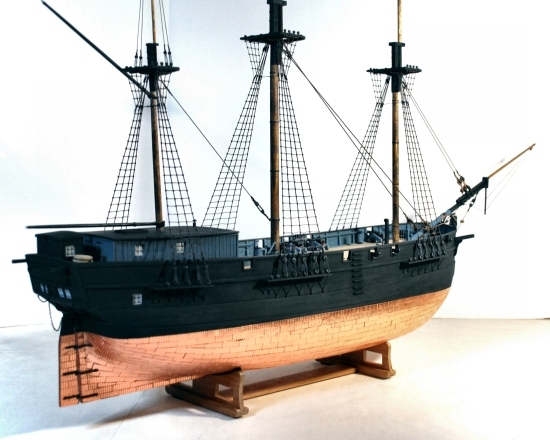 "24 Feb.1815 - Private Contract - The new Ship HADLOW, 380 or thereabouts, copper fastened and the upper deck copper nailed, which is flush, with a round-about-house". She was originally built as a timber carrier for the Hudson Bay Company. After being sold to British interests, she was utilized as a convict transport taking prisoners from England to Australia. 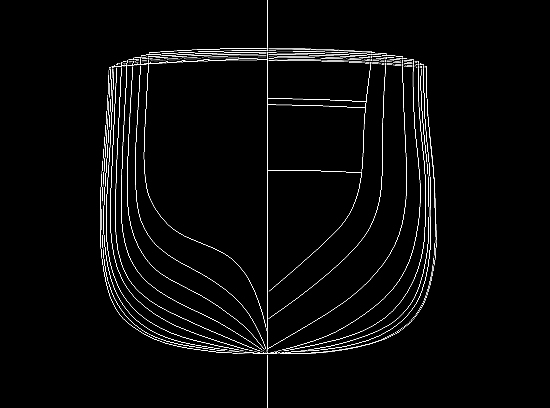 Design for the hull determining sections shown below. Her construction is well on the way.